After a full skin analysis, we will customize each facial to your skin’s specific needs, including hydrating, anti-aging, detoxifying, and acne. This facial includes light steam to soften the pores, thorough extractions, and an enzyme foaming mask to help rid your skin of dirt and debris. Diamond tip dermabrasion is a non-surgical skin resurfacing procedure using sterile diamond heads to peel and rub off dead cells at the top skin layer. This procedure will help remove skin debris, scars, blemishes, wrinkles and uneven pigmentation of the skin. This facial includes light steam to soften the pores, thorough extractions, and a rejuvenating masque to help give your skin a beautiful glow. Automated microneedling can help treat the appearance of fine lines, wrinkles, and acne scars to provide you with younger looking skin. The Eclipse MicroPen® is used to create controlled micro-injuries to the skin in order to produce collagen and elastin. A microneedling facial can also have a positive effect on the appearance of hyper-pigmentation, hypo-pigmentation, traumatic scars, and stretch marks to create fresher appearance and glowing skin. Dermaplaning is a method of exfoliation that consists of using a 10 gauge scalpel to gently scrape off the top layer of dulling dead skin cells in order to reveal a smoother, brighter complexion. Dermaplaning also eliminates fine hair that cakes up in makeup, making this a favorite among patients who are anticipating an event and want their skin to be perfectly smooth and camera-ready. The treatment takes approximately 10-15 minutes and the results are immediate. Cryo Facial does not require down time or post treatment care, and can be conducted as a one off treatment or as a series for optimal results. Cryo Facial can be experienced as a stand alone procedure, or paired with other treatments. Help bring back your skin’s natural elasticity. Great for building collagen and improve surface texture. How Do Facial Treatments Work? Facial treatments work by eliminating imperfections and exfoliating the skin to bring out your inner glow. Each treatment is customized to meet your exact skin care needs and performed by one of our well-trained aestheticians to provide you with spectacular results. How Are Facial Treatments Performed? 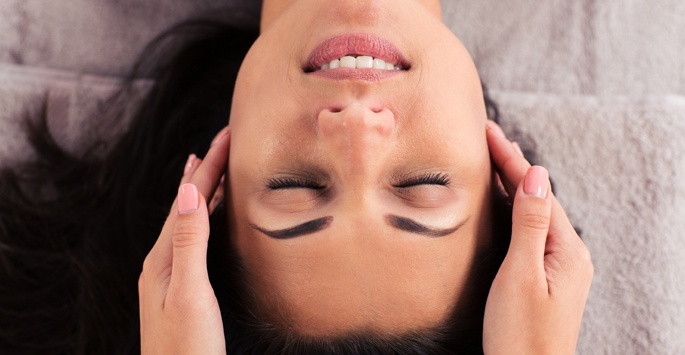 The facial treatments offered at Supriya Aesthetic Dermatology can all be performed in the relaxing atmosphere of our office without the use of anesthesia. Most require only one session that is less than 60 minutes long. Results are typically noticed right away, although some such as microneedling may take several weeks before results are seen. Results are typically noticed for up to three months, after which time you may choose to have your procedure repeated. Side effects are generally very mild, and will vary based on the procedure you choose. Some facial treatments such as microdermabrasion may cause your skin to be slightly sensitive for a few days afterward. There may also be some minor swelling and discomfort associated with microneedling. Any discomfort you do experience can normally be alleviated with over-the-counter medication. Who Is A Good Candidate For Facial Treatments? Anyone who wishes to improve the appearance of his or her skin without undergoing surgery or other more intense cosmetic procedures could benefit from our facial treatments. You should have no open sores or active skin infections prior to undergoing facial treatment. How Much Do Facial Treatments Cost? The cost of your facial treatment will be different from that of anyone else since we customize procedures for each patient. To help make facial treatments affordable and accessible for everyone, Supriya Aesthetic Dermatology offers financing options via CareCredit®. We also accept cash, personal checks, and major credit cards. Contact us today if you have any questions about the cost of facial treatments. Whether you are trying to eliminate signs of aging, or simply wish to feel pampered, Supriya Aesthetic Dermatology has a facial treatment that is just right for you. Patients in West Palm Beach, Jupiter, and other nearby areas in Florida are encouraged to contact us today to set up a consultation.